This post is sponsored by The Butterfly Palace. Recently, my family and I took a daycation to Branson, MO, which is three hours away from our home. There was a total of seven of us! My niece and nephew wanted to come along and we couldn't say no. They're my babies too and we know that the memories will last a lifetime! We visited three local attractions, the first was the Hollywood Entertainment Center, which I will be sharing details on tomorrow. Our second stop was The Butterfly Palace, which you'll be reading about today, and third, we toured Talking Rocks Cavern. I shared our experience HERE. I can't say that I had ever heard of a butterfly palace so I didn't really know what to expect with our visit. By the end of our visit, I was pleasantly surprised! The one thing I will say is, don't take kids who are deathly afraid of butterflies! I had no idea my kids would be so terrified! I had a few good laughs, but my husband was totally embarrassed. I created a short video of our experience. :-). 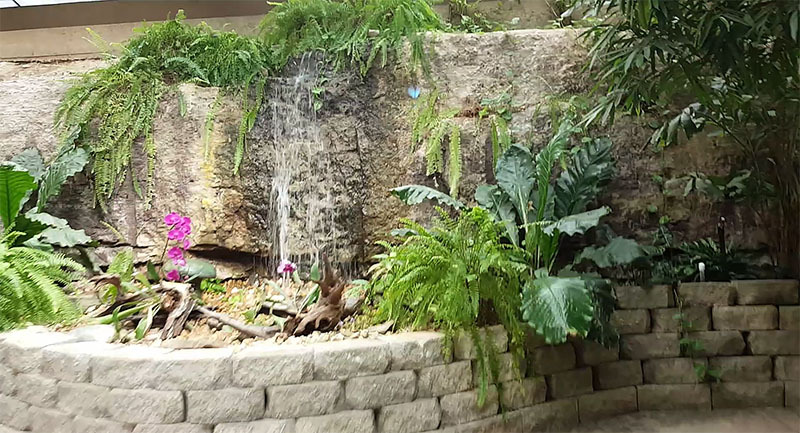 The Butterfly Palace has a bright and tropical feel. It was very pretty and colorful. Watch in the video below! The first thing we did was try out the Banyan Tree Adventure. There are faux rocks and flowers throughout the space and lots of bungee cord ropes, hanging from the ceiling down to the ground, to travel through. The ropes mimic Banyan Tree roots, which are trees found in rainforests. There's also a interactive digital pond. 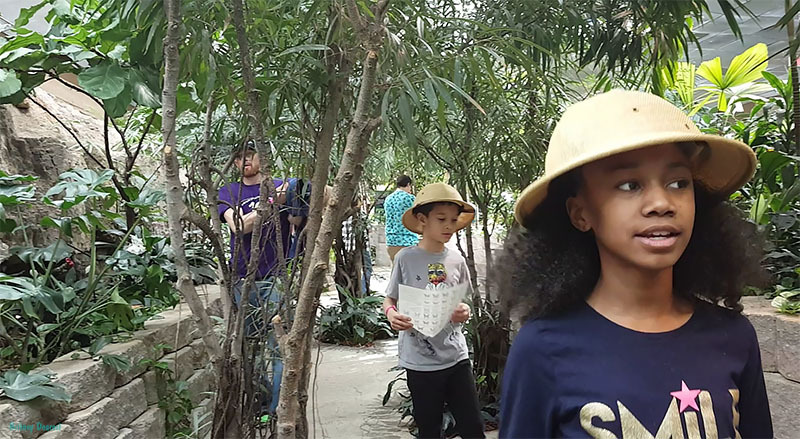 Following the Banyan Tree Adventure, we headed to the Butterfly Aviary. The room had the temperature and humidity of a rainforest. There were lots plants and a waterfall. There were Pith helmets, magnifying glasses, and binoculars for the little explorers to use. We were given a list with names and images of different types of exotic butterflies to look for. There were butterflies flying all around us the entire time. The kids weren't to fond of them getting close, but my husband and I enjoyed them. Our next stop was the Emerald Forest Mirror Maze. My kids loved it. It was very dark (as seen in the video) and there are mirrors at every turn! There were times when I thought I saw my children, only to find out, it was their reflection. It was a lot of fun. Some of us may have walked into a mirror... or two. 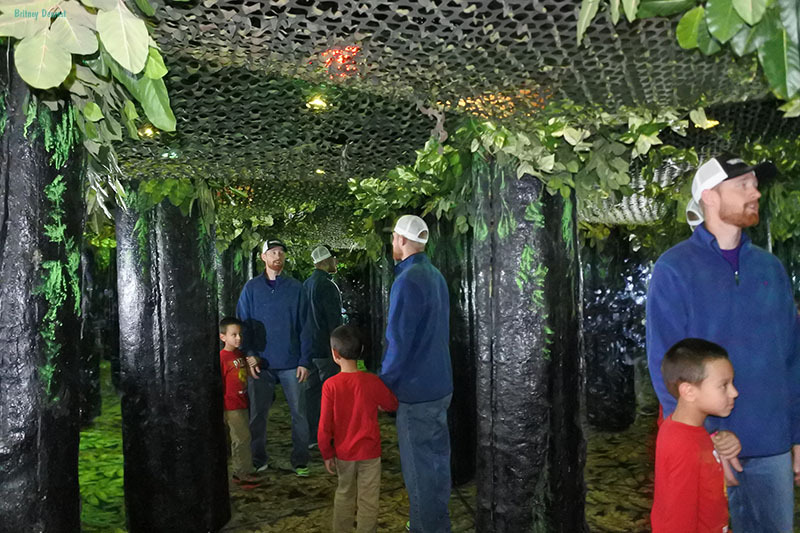 The last area we visited was the Rainforest Science Center, the kids second favorite area. There were numerous different animals that reside in rainforests including a scorpion, poison dart frogs, and a gecko. 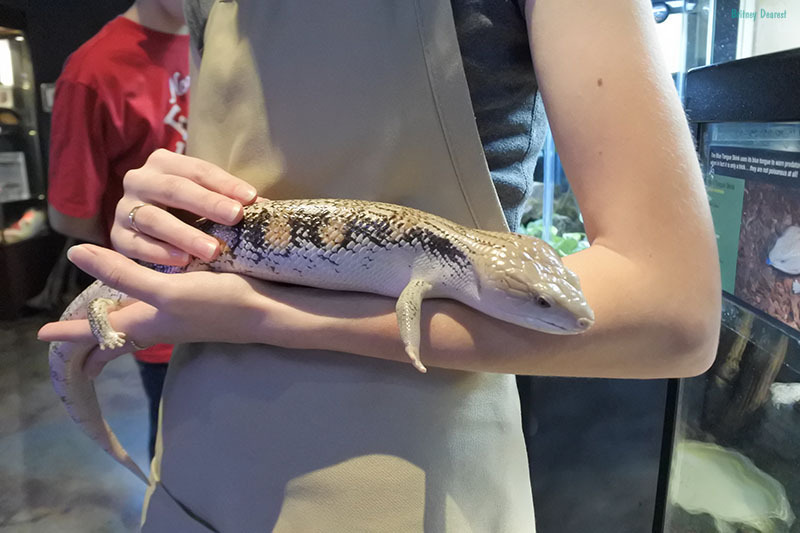 The kids were able to learn fun facts and pet a blue-tongue skink! 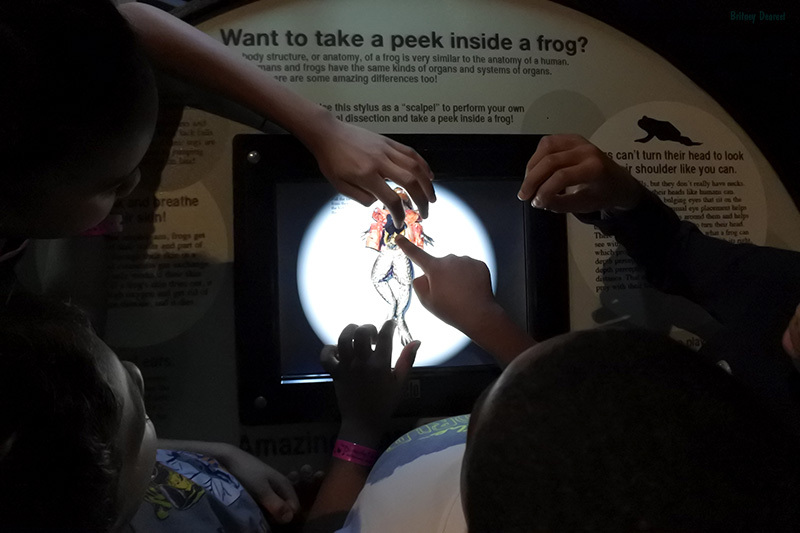 In the Science Center there were also educational activities such as a digital dissection activity which allowed the kids to use their fingers to slide frog organs out of its body for examination. 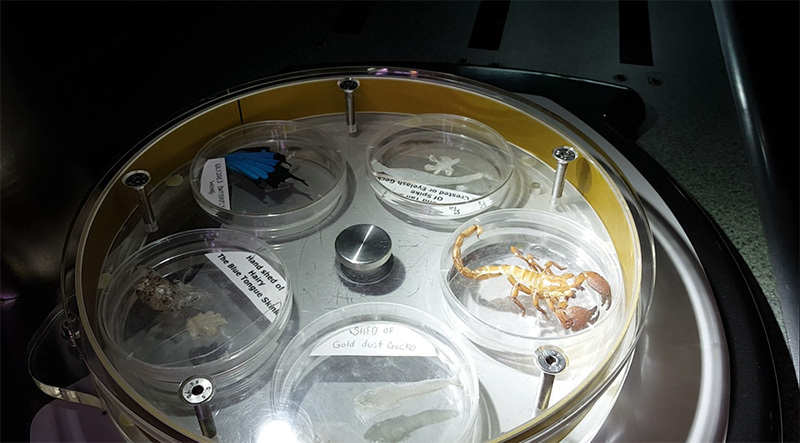 There was also a microscope where kids could view and examine multiple types of specimens. 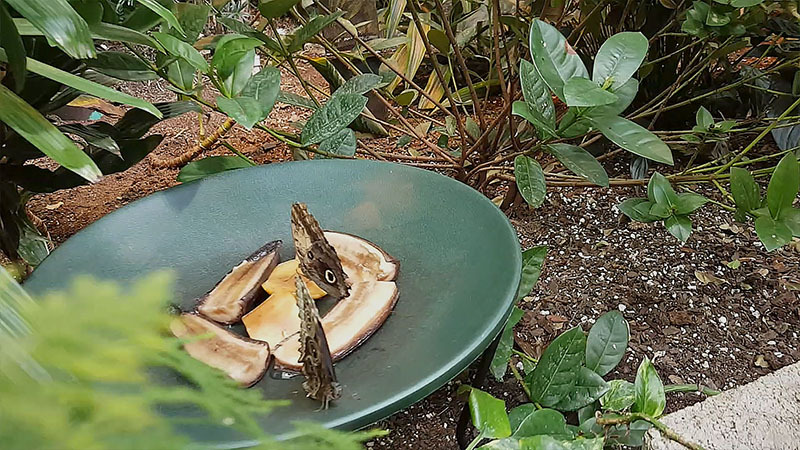 The Butterfly Palace is open year round, 9am- 5pm daily! Click HERE to receive an exclusive coupon for $2 off at the Butterfly Palace. *Cannot be combined with other offers. Must be presented at time of purchase. Thanks for reading!